Very few of us who find ourselves in positions of leadership in churches or Christian organisations are natural-born leaders: charismatic, energetic and visionary. Most of us are ‘situational’ leaders who find ourselves in leadership positions and then encouraged to look at the outstanding leaders of our age and somehow emulate them. Rather than this being a spur to greater things and an encouragement to excellence, it can all too easily become a source of frustration and disappointment as we realise that we don’t really match up. 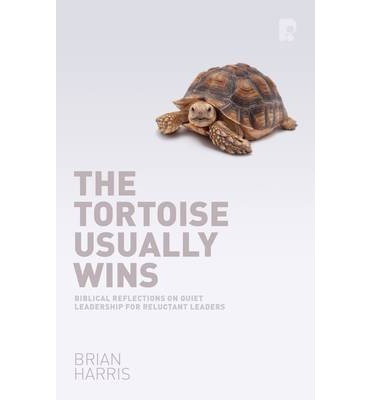 It is this reality which Brian Harris tackles in his book, The Tortoise Usually Wins. Recognising that most leaders are ‘quiet’ leaders who often have leadership thrust upon them rather than being naturally gifted in it, he tackles the areas where quiet leaders can be effective leaders. Discussing various well-known areas of biblical leadership, such as servanthood, encouragement, delegation and character, he shows how quiet leaders can be good, effective and God-honouring leaders. If I were to be critical, then I found some of the examples he uses a little trite, though always relevant. In a christian world where there are any number of books on leadership, this is a book that deserves to be read and which will be of benefit to many leaders and leadership teams. He helpfully puts a series of questions or points for reflection at the close of each chapter and I would suggest it would be a good book to work through week by week in a leadership team where time to discuss the implications of the chapter in the team’s specific context would be beneficial.